This pregnant lioness is walking with a friend. They’re probably looking for a place to nest since this lioness is about to give birth after 110 days of carrying her cubs. 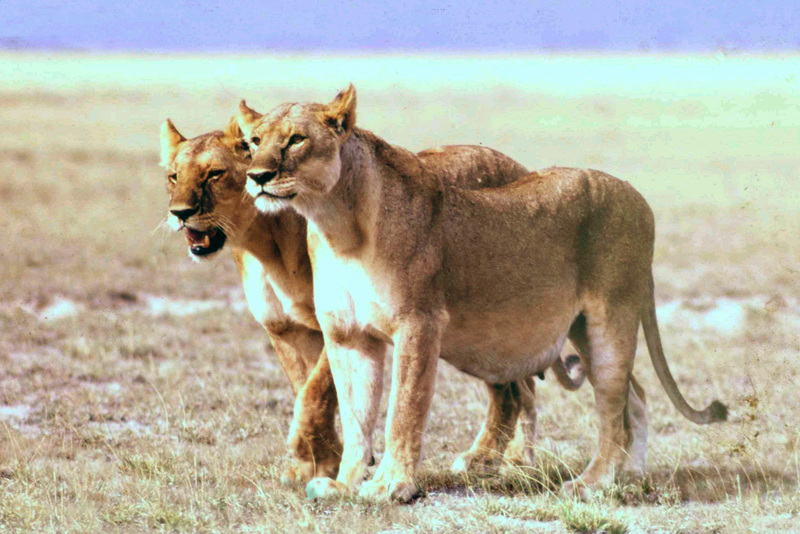 Female lions deliver and raise their cubs in a secluded den, such as a thicket or a cave, away from the rest of the pride. Like jaguars, lionesses raise the cubs all on their own and don’t tolerate a male presence due to infanticide. After the cubs are born, the lioness will move them one-by-one to a new den site several times a month to avoid predators. You will not believe how long a giraffe’s gestation period is!